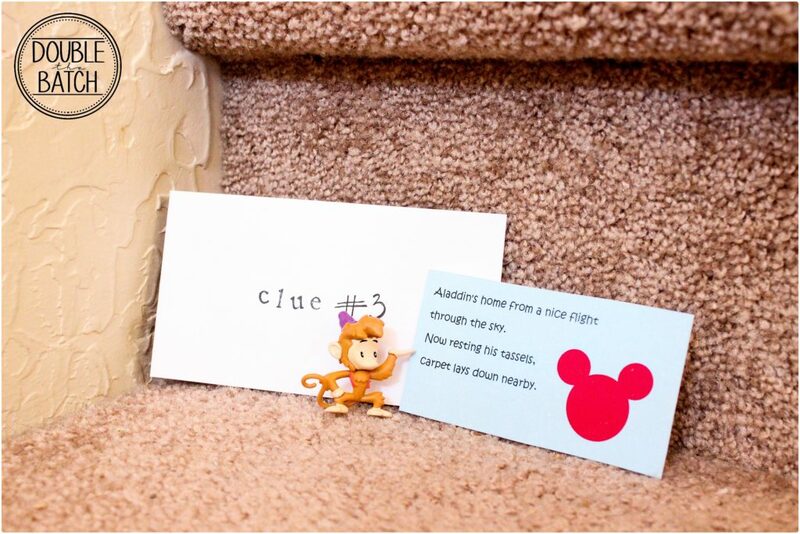 DISNEY THEMED SCAVENGER HUNT- FREE Clues Featuring Your Child’s Favorite Characters! I am SO EXCITED! 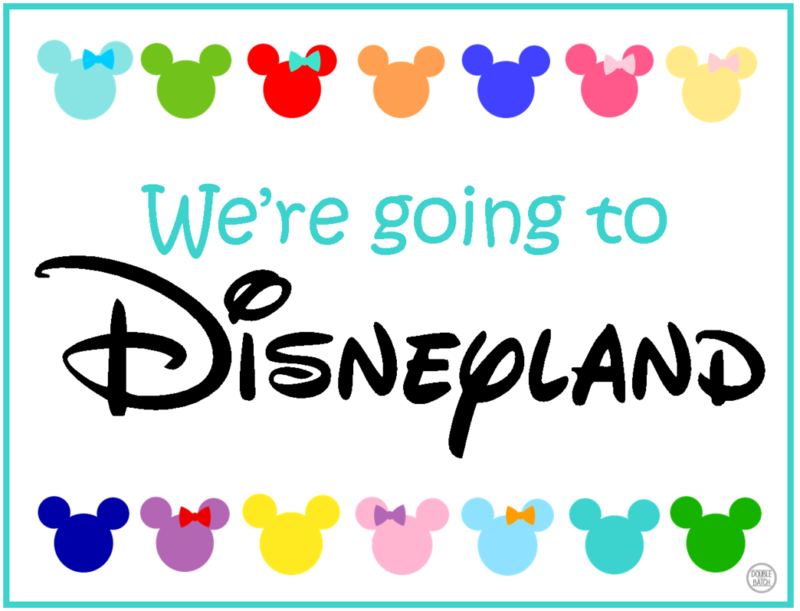 WE ARE GOING TO DISNEYLAND! I haven’t been there since I was a teenager. So obviously I have never taken my 4 kids! We just booked our 3 day Disneyland Vacation through Get Away Today! I know I got the best deal out there! I am so excited to tell the kids. But, HOW??? 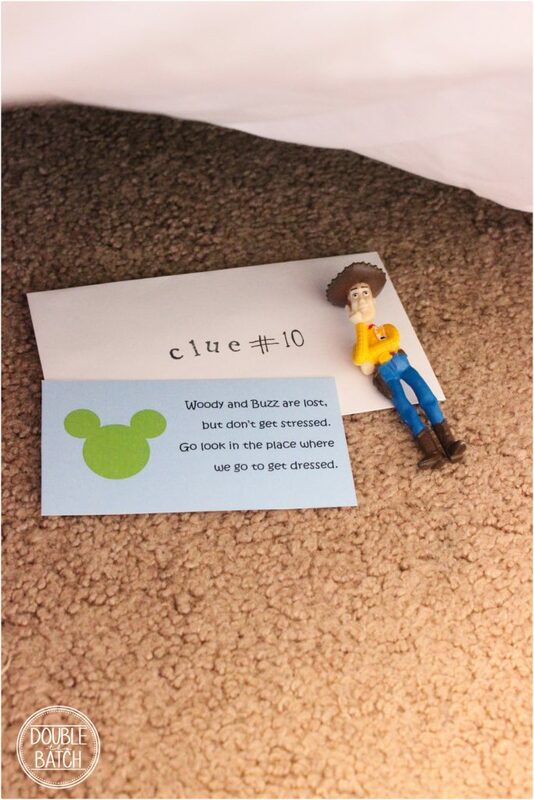 I decide to make a scavenger hunt. 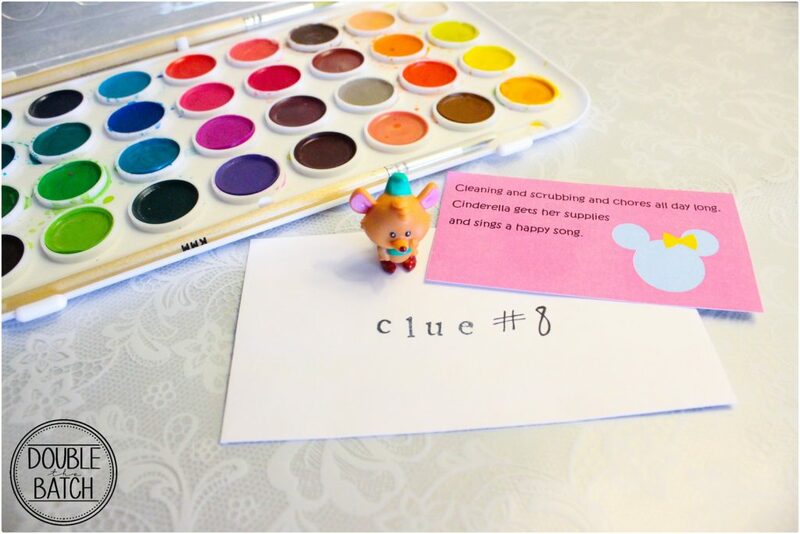 We did a last minute hunt about a month ago with silly clues my husband and I made up to entertain the kids on a rainy Saturday afternoon. They loved it! 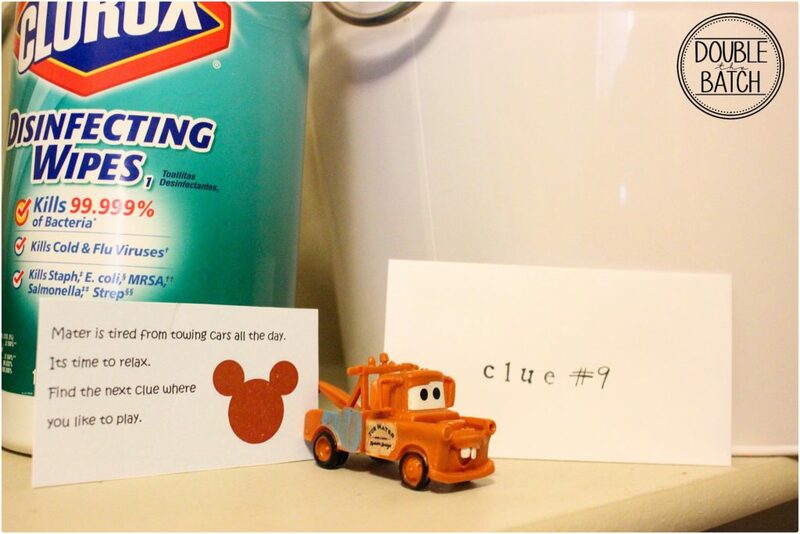 They ran all though the house and ended the hunt with the last clue at the table with cookies and milk. They were in heaven! That proved to be a great trial game. Now for the real thing! I tried to include all the favorite characters of your kids and mine to make it that much more fun! 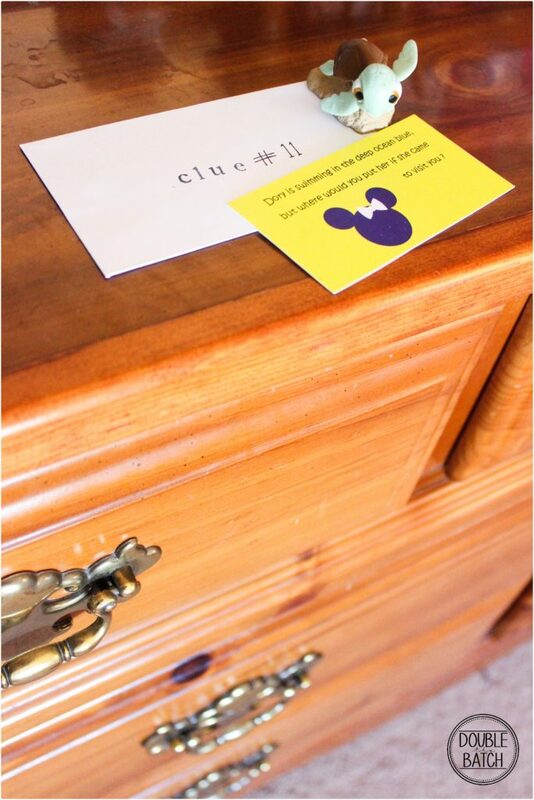 There are 20 total clues Here is the plan: Each clue leads the kids somewhere new throughout the house. 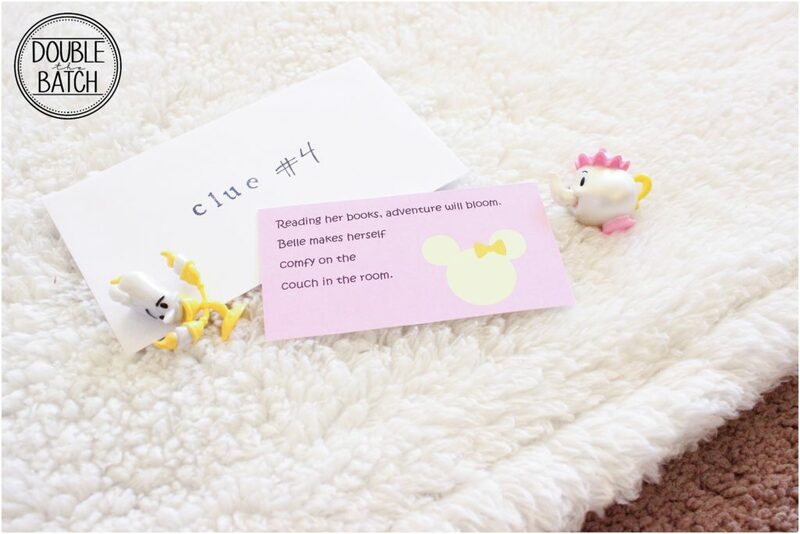 They read the clue out loud, then go to the next clue location and so on, until they end the hunt. 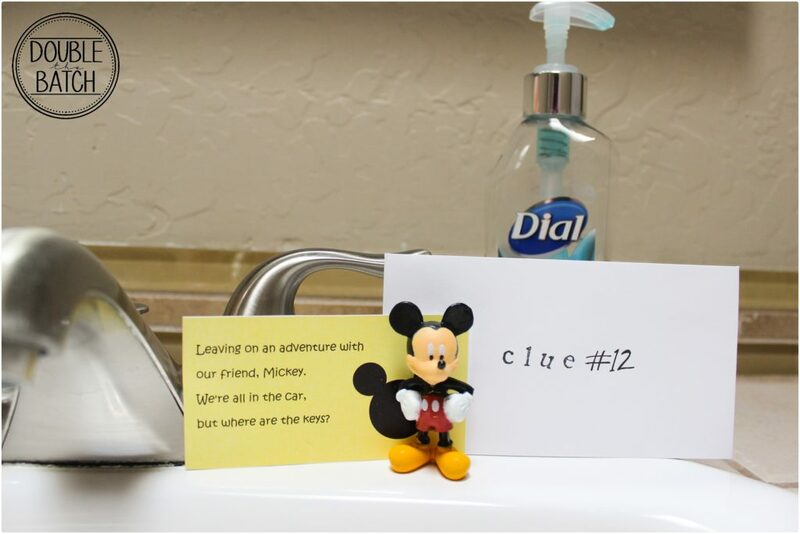 Then at the final location you might have tickets, a package, suitcases, present, balloons, etc… waiting to surprise them about a future trip. Isn’t this exciting!?! 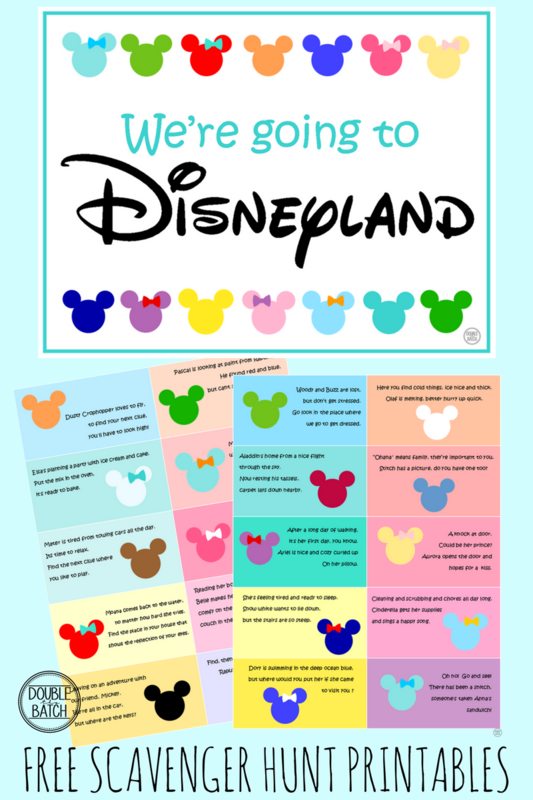 We are actually leaving for our Disney Vacation in October, but I know many of you will want to use these before then. 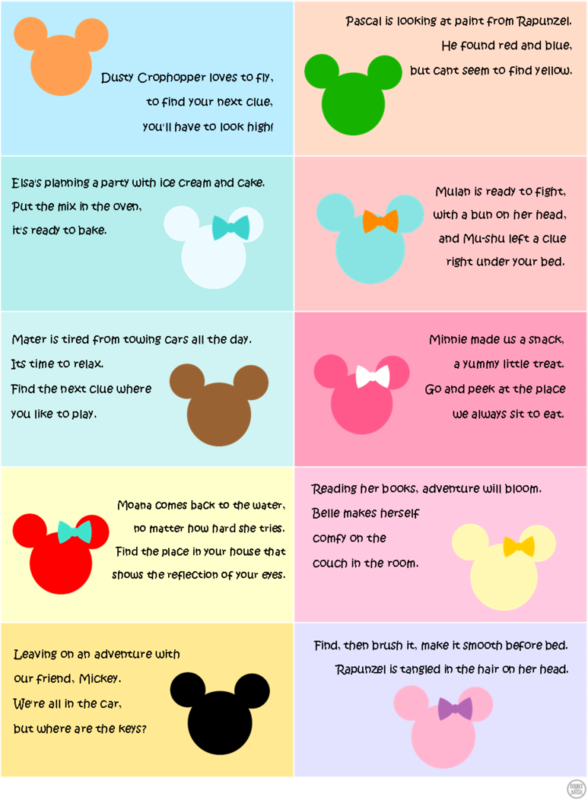 Here are some ideas of how to use them. I bought the little Disney Figures on Amazon and at Walmart. This is the FINALE! 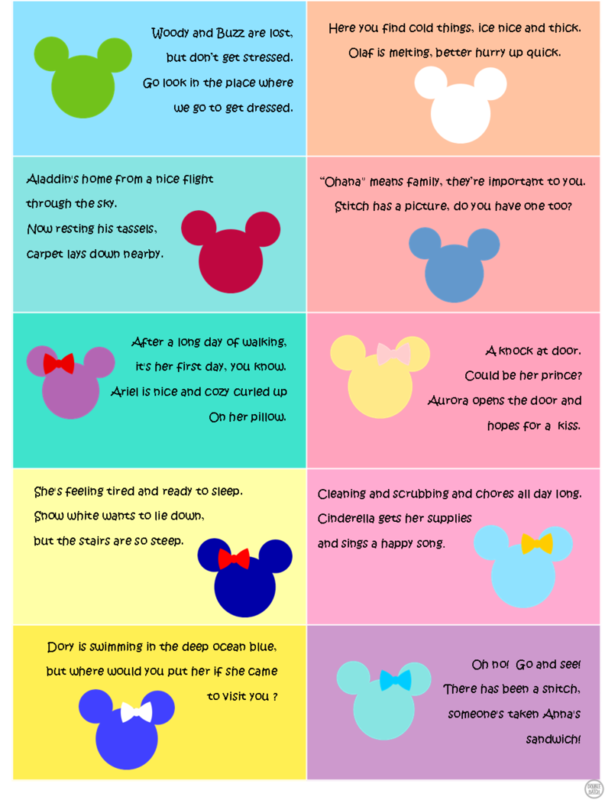 Because there are so many options and I haven’t figures out the way I am going to tell my kids, I am going to leave this up to you. 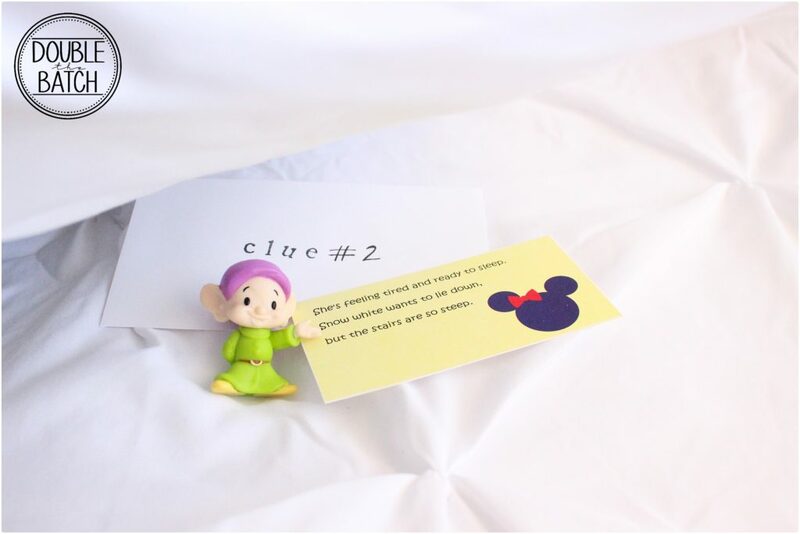 But here is a Sign you can add to the package, present, balloons, suitcase or whatever you do to surprise your kids. 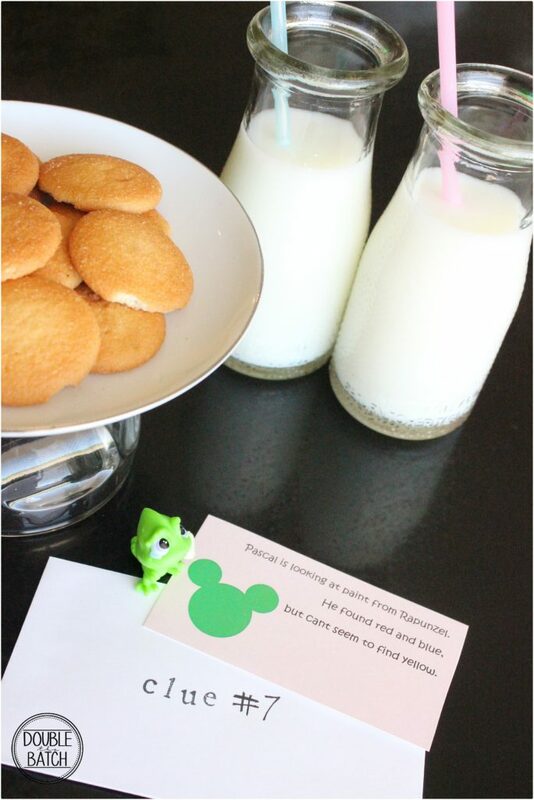 I hope you like them and I hope you have a wonderful time on your vacation! 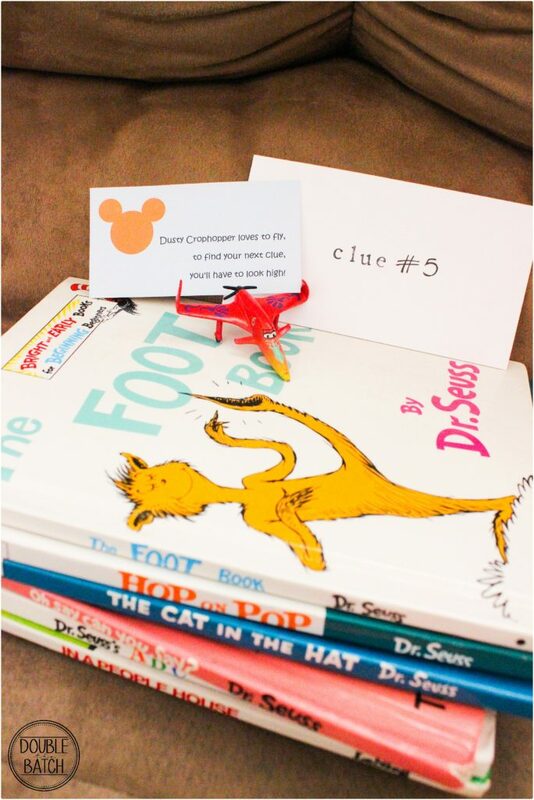 How did YOU surprise your kids about YOUR Disney Vacation? 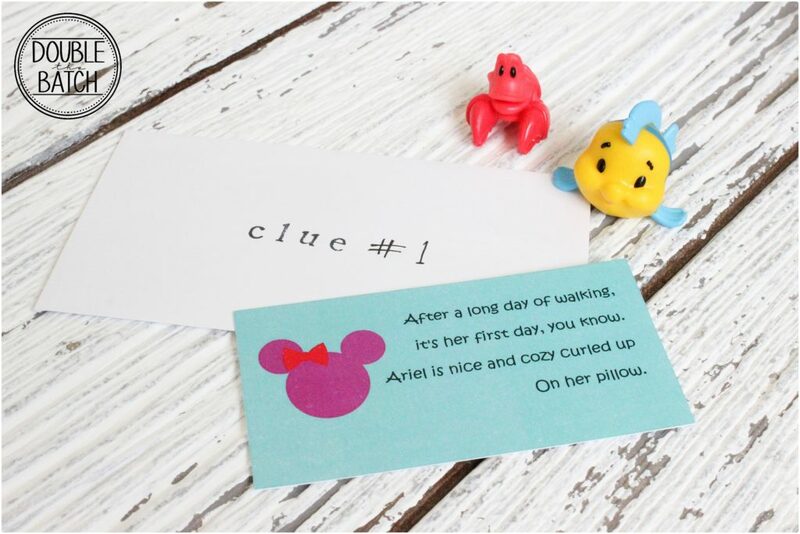 Want to pin this Disney Themed Scavenger Hunt For Later? 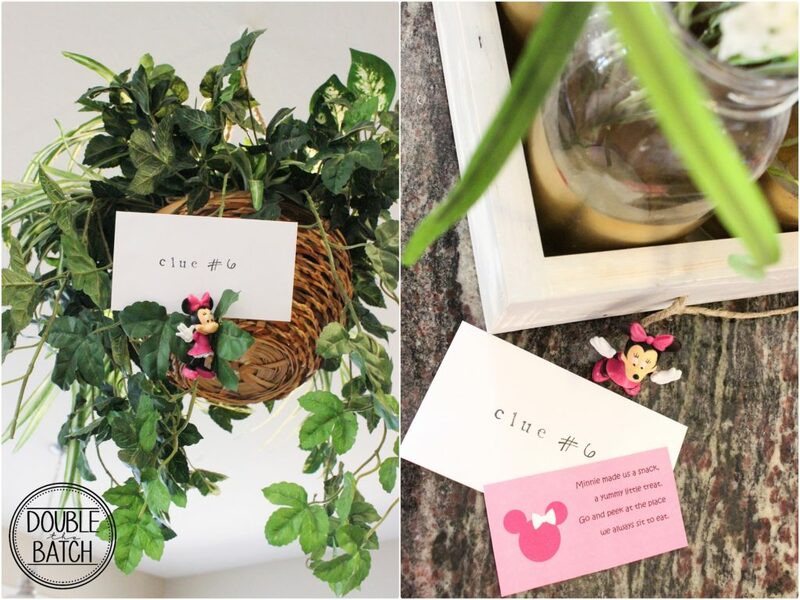 15 Gift Ideas for those who have EVERYTHING!